Frankenweenie out in theaters now! The unlikely combination of Tim Burton and Disney has resulted in a visually stunning new animated film just in time for Halloween. Frankenweenie is a parody and tribute to the original Frankenstein. Parents will enjoy the parallel characters and events in this stop motion animated cinematic event. The black and white 3-D animation is amazing to watch and gives this film an old fashioned quality. The story centers around Vic Frankenstein and his best friend Sparky, his dog, who tragically dies in the beginning of the movie. (It’s Disney and Tim Burton of course there is a death) Heartbroken from the loss of his best pal Victor, a scientific prodigy, decides to bring Sparky back to life Frankenstein style. In his attic in true Frankensten style while his oblivious parents watch tv he creates Frankenweenie. Victor tries in vain to hide his existence from his parents and his creepy classmates but eventually the word gets out and the fun and weirdness begins. In turn each child sneaks into the town pet cemetery and tries their hand at playing mad scientist to bring their beloved pets back to life and here is where the madness begins. As far as Halloween movies go I think “creepy”and “awkward” might as well be two thumbs up. 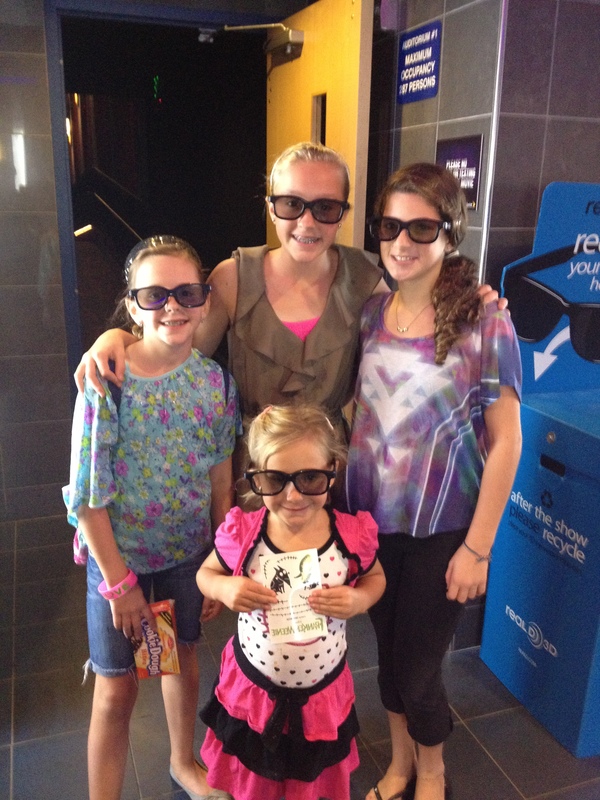 Check this out in 3-D before it is out of theaters. This entry was posted in Entertainment, Family, Family Fun, Family Movies and tagged Animation, Disney Movies, Disney Studios, Frankenweenie, Halloween, Sparky, Stop Motion Animation, Tim Burton, Victor Frankenstein. Bookmark the permalink. 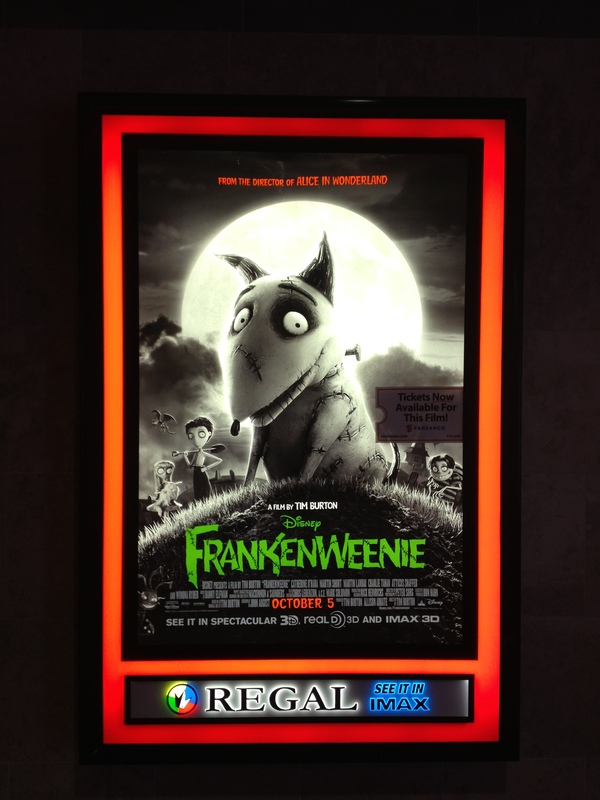 7 Responses to Frankenweenie out in theaters now! My son and I loved it so much we saw it twice! That’s great. I am sure we will be watching it again! Hotel Transylvania was another cute movie! We haven’t seen that one yet but my youngest has been begging. Maybe this weekend. I saw Wreck it Ralph yesterday that was great. Not Halloweeny but a super movie. I can’t wait to see it, and I look forward to reading your review!